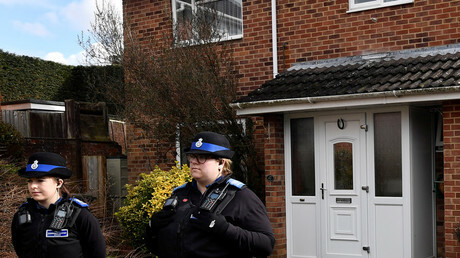 It comes after the Press Association reported on Thursday morning that police had identified the suspects behind the nerve agent attacks against former Russian double agent Sergei Skripal and his daughter Yulia. The pair were found on March 4 slumped on a bench after being exposed to the substance in the Wiltshire town of Salisbury. The UK has accused Russia of both attacks, a claim which the Kremlin has consistently denied. Asked about the latest developments, Russian Ambassador to the UK Alexander Yakovenko said he is still awaiting official confirmation from Britain. “These are media reports, unfortunately there are no official statements from the British side. I want to hear from Scotland Yard, from the Foreign Office. Many versions [published] in the newspapers are not confirmed at official level,” Yakovenko told journalists in Moscow. The Russian envoy added that as London has produced no evidence that Moscow is responsible, the attack and its possible perpetrators was not discussed by Russian President Vladimir Putin and his US counterpart Donald Trump at their meeting in Helsinki. Yakovenko added he will raise the issue with the new UK Foreign Secretary Jeremy Hunt when they meet. 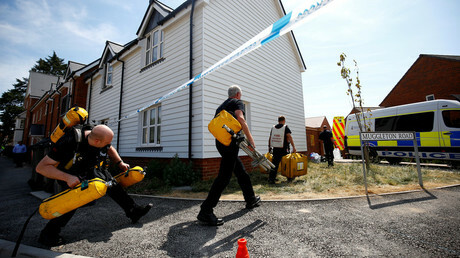 The report that police had identified the suspects came after Dawn Sturgess, 44, died on July 8 within days of her reported exposure to Novichok. She, along with her partner Charlie Rowley, who remains in a serious condition, was poisoned in Amesbury, a Wiltshire town just eight miles from Salisbury – where the Skripals were attacked. 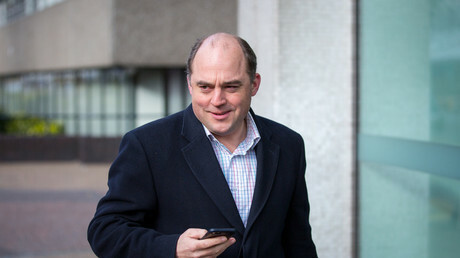 Wallace was among the first, along with Home Secretary Sajid Javid, to accuse Russia of culpability over the Amesbury incident.